A study by researchers from Binghamton University on the giant stone hats of Rapa Nui (Easter Island) has suggested that the long-held belief of a warrior culture on the island may be wrong. 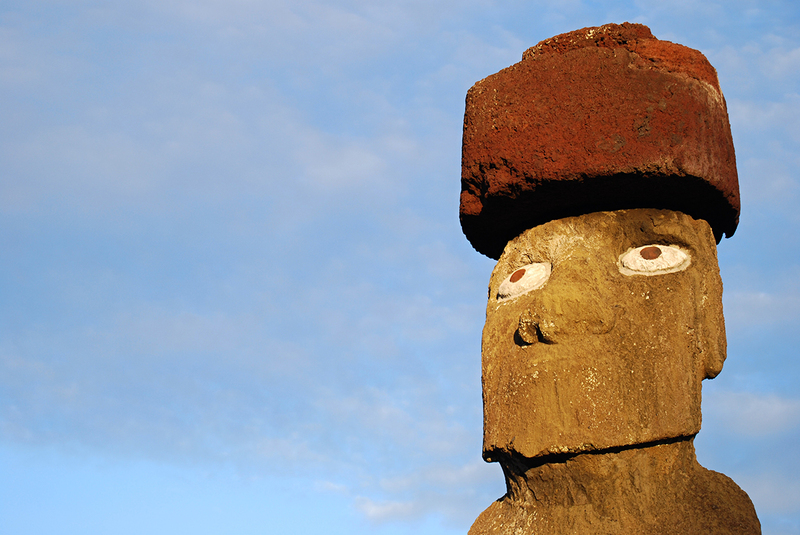 Weighing multiple tons, they were placed on the heads of the moai during prehistoric times, consistent with the Polynesian traditions of honoring their ancestors. “Every time we look at the archaeological record of the island, we are surprised by what we find. There is much more to be learned from this remarkable place — important answers that shed light on the abilities of our ancestors, as well as potential ideas for contemporary society about what it takes to survive on a tiny and remote island,” said Lipo.